A home for long-form journalism. You’ve heard it again and again: Long-form journalism is on its way out. The two things that the Internet—and by extension our culture—value most are speed and brevity, the very two things that long-form journalism is not. As a result, we are told that the days of the long magazine piece—the narrative that takes unforeseen twists and turns; the historical essay that puts contemporary events in a new light; the cultural argument that recasts the way you think about a book or a piece of art—are drawing to a close. 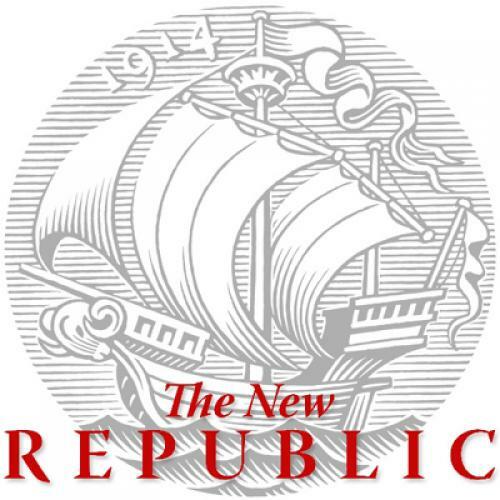 At TNR, we are determined to prove this conventional wisdom wrong. And so, today we are unveiling an ongoing series of online cover stories. As our journalistic culture has increasingly emphasized the short and the cursory, we think a void has opened where a certain kind of old-fashioned magazine writing used to be. Our print magazine, we believe, goes a long way toward filling that void—and, every two weeks, it will continue to offer the best long-form journalism in the country. But we want to do more: We want to show that beautifully crafted, methodically edited, intellectually rich long-form writing can also thrive online. This project is the result. First, what our online cover stories are not: They do not signal a retreat from the ethos of daily argument that TNR has long embraced. Our political bloggers will continue to be the best on the web; and our daily columnists—a roster that will be expanding dramatically in the weeks to come—will continue to offer timely, sharp takes on the news and up-to-the-minute reporting. Indeed, we’ve been offering more and more daily pieces on the web in recent weeks. That trend is only going to continue. But while we are no less committed to short-form journalism, we also think that the world needs more long-form writing. Not just because long-form writing is, at its best, a pleasure to read, but because there are certain values implicit in long-form writing that are worth defending and preserving. One value is artistry. The best narratives and the best cultural criticism are not simply means of delivering information; they rise to the level of literature. Of course, there can be artistry in blogging, but it is a different kind of artistry. A 300-word post cannot hold you in suspense; nor can it deliver a shocking conclusion. A brilliant piece of long-form storytelling can do both of these things. Another value, which we hope will especially come through in our argumentative essays, is a certain appreciation for nuance. Writing a long argument means introducing complexities, it means engaging counter-arguments, it means giving yourself as a writer time to doubt your convictions. That doesn’t mean long-form journalism can’t arrive at impassioned conclusions; the best long-form writing often does. But writing long means grappling with all sorts of nuances on the way to those conclusions—and taking readers on a journey in which they will have the chance to do the same. Our first online cover story exemplifies this approach. It’s an argument by Jonathan Cohn, the country’s foremost health care writer, that looks at the health care lawsuits currently proceeding through the courts. Jon’s thesis is twofold: that the legal arguments being offered by health care repealers have at least a plausible shot at succeeding; and that this outcome would have profound and troubling implications for our society as a whole. To make his argument, Jon takes readers on a fascinating tour of the legal history surrounding the Commerce Clause. When you’re done reading the piece you’ll have a new understanding of the legal intricacies on which the fate of health care reform currently hinges. If your politics are like Jon’s or mine, then you’ll find the arguments on the conservative side unpersuasive. But you’ll also understand them—both their intellectual antecedents and their current implications—in a way that a shorter piece could never have communicated. In the months to come, our online cover stories will range widely in terms of subject matter and style. Some will be entirely political; some will have nothing to do with politics. Some will be argumentative essays like Jon’s piece today; some will simply be gripping narratives. Underlying all of them, however, will be the same spirit that guides our print magazine: a belief that there is something special, something irreplaceable, about a long magazine article.